Megan Diercks, a French instructor at Colorado School of Mines, has been awarded the rank of chevalier by the Order of French Academic Palms. The highest nonmilitary honor that a noncitizen can receive from the French government, the Palmes Académiques recognizes those who have rendered eminent service to French education and have contributed to the prestige of French culture. The Order of the Academic Palms was created in 1955 as the first of ministerial orders recognized by the French Republic and comprises three ranks: chevalier (knight), officier (officer) and commandeur (commander). The history of the Palms, though, goes back much further, to Napoleon I, who created the Palms in 1808 as an honorary title to recognize teachers and professors. In 1866, it became a decoration and was extended to non-teachers who have also rendered exceptional service to French education. In the United States, Diercks joins about 300 active members in the American Society of the French Academic Palms. Diercks, who has taught French language courses at Mines since 2012, was recognized for her continued promotion of French language and culture through teaching and her involvement with the American Association of Teachers of French (AATF). The editor of the AATF National Bulletin, Diercks is also president of the Colorado/Wyoming AATF chapter, member of the AATF Commission on Teacher Recruitment and Retention and assistant to the director of the National French Contest. 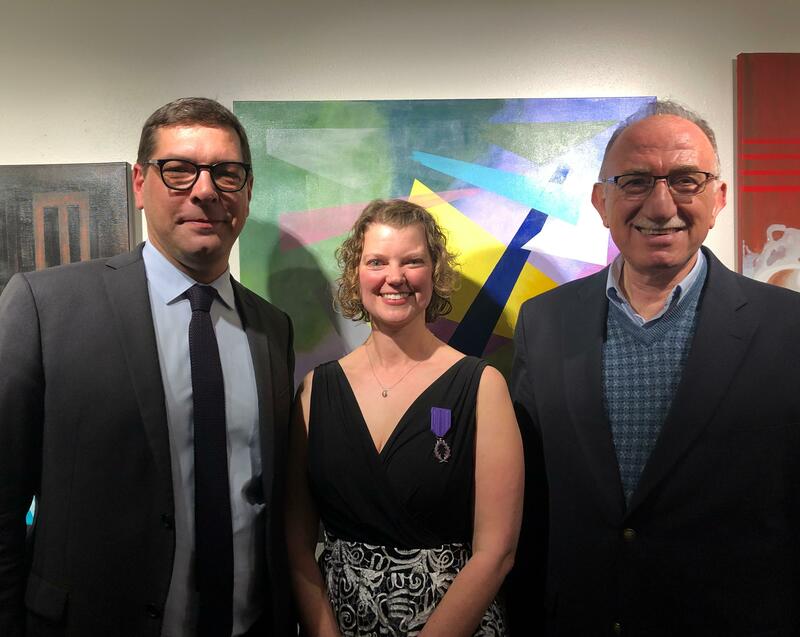 Diercks was honored Feb. 4 at a ceremony at the Alliance Française de Denver, officiated by the cultural attaché from the French Embassy in Los Angeles, Christophe Lemoine.